“Creeping along the endless beach amid the sun-squall and the foam, it occurs to us that we, too, are the products of sea-slime.” H.D. Thoreau on Cape Cod. 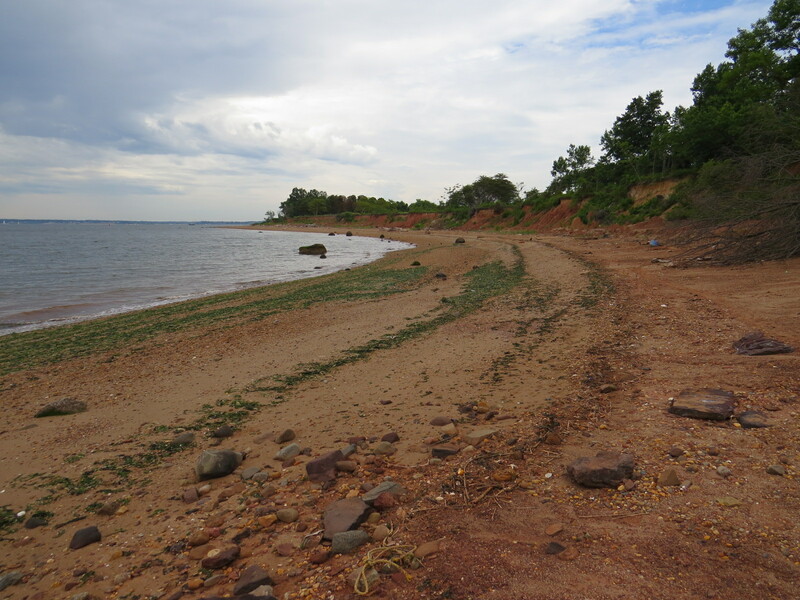 I walked from the Lemon Creek Fishing Pier to Conference House Park along the Raritan Bay shore of Staten Island recently. 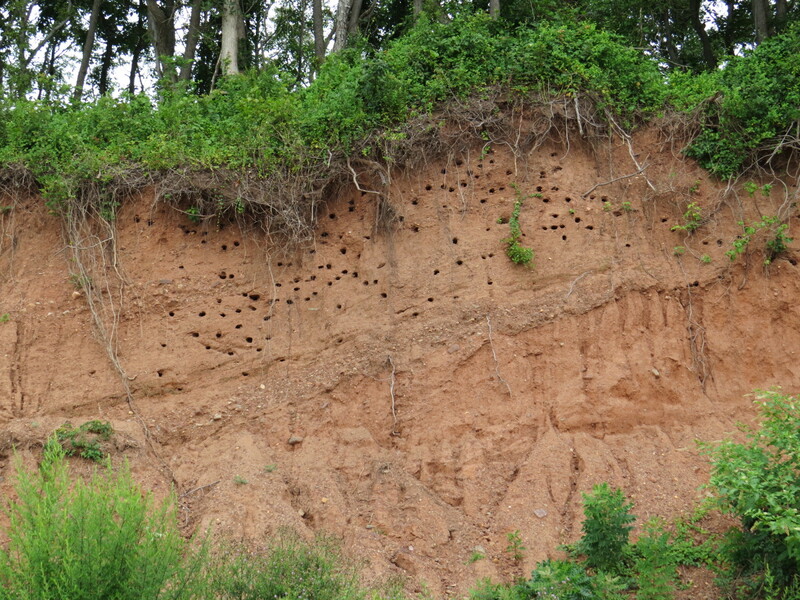 The red glacial till of the cliffs were pockmarked with old Bank Swallow nests. 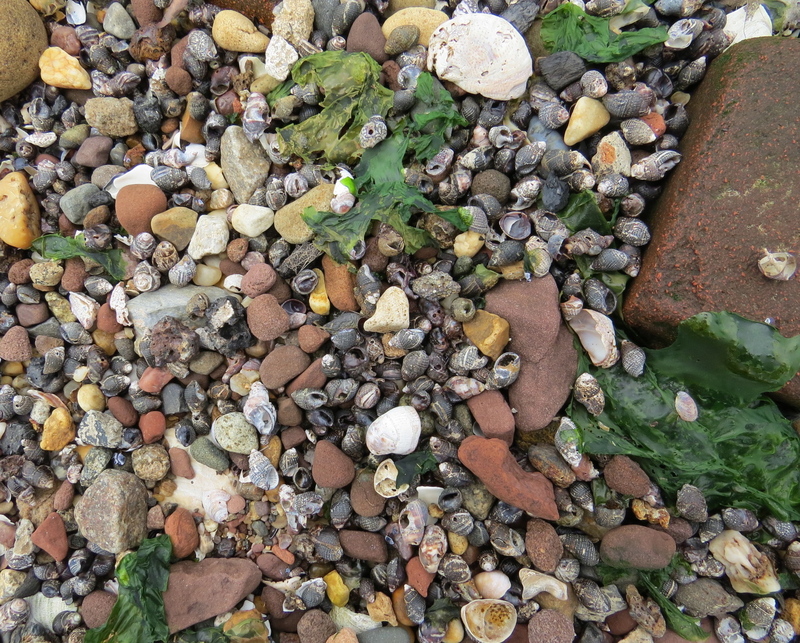 The beach was shelly in parts, seaweedy in others. 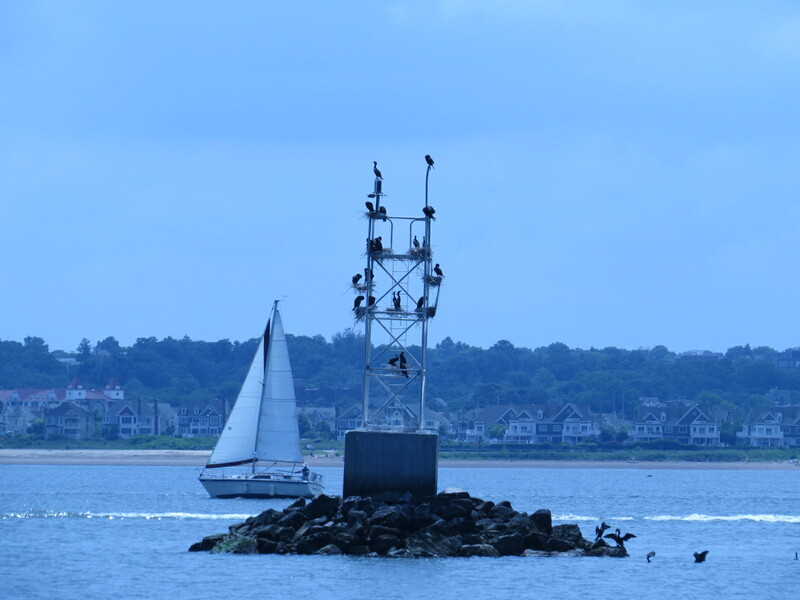 Surprisingly few people were to be seen over the couple miles of beach on a summer weekend. Fishermen had plundered through, though, leaving this four-footer to the maggots. Along the phraggy edges past the cliffs of Mt. Loretto, some Odonates patrolled. 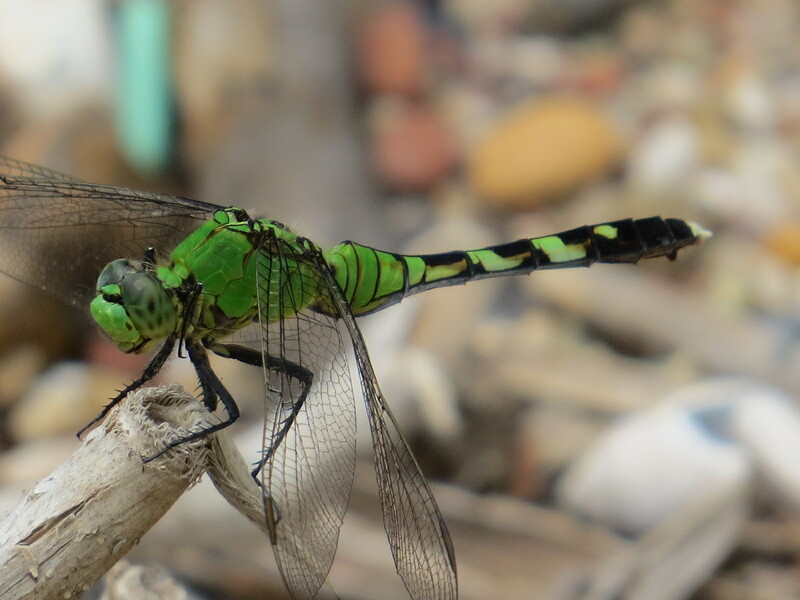 This is a female Eastern Pondhawk (Erythemis simplicicollis). 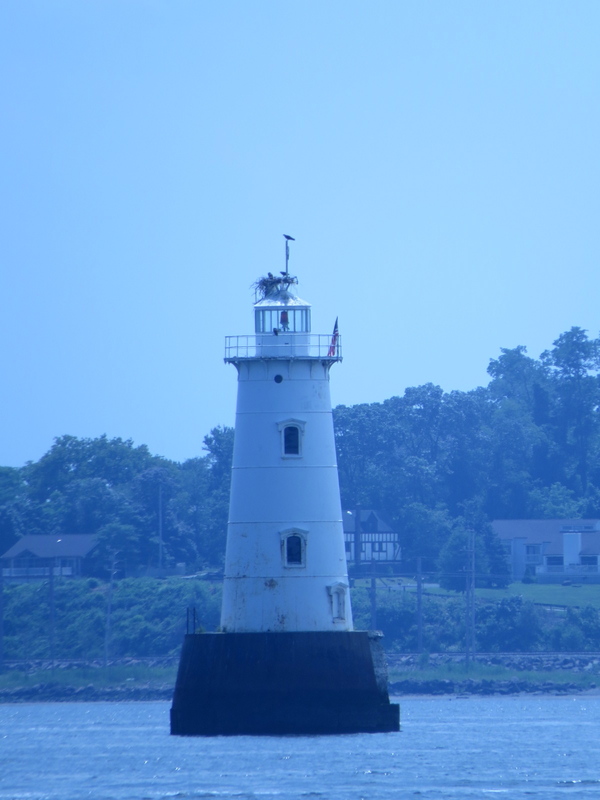 Great Beds Light, in Raritan Bay, off the southwestern tip of Staten Island. Named after the great beds of oysters once found there. The beach had a good number of oyster shells on it, so there are still some, but there’s been no oyster harvesting from the great estuary that surrounds New York City in nearly a century. The Billion Oyster Project is trying to change that. 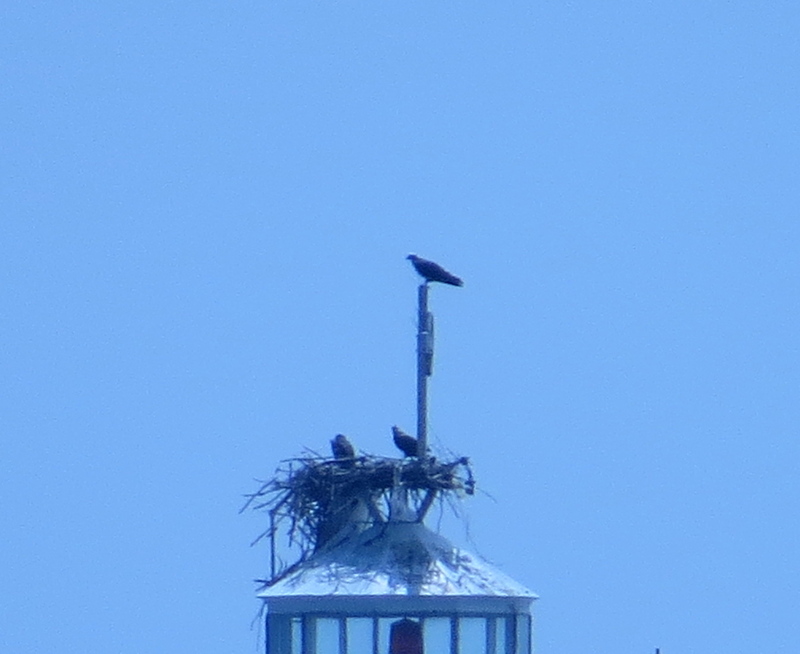 Ospreys have nested on top of the light. This marker on the rocks near the entrance of the Arthur Kill has been taken over by Double-crested Cormorants. 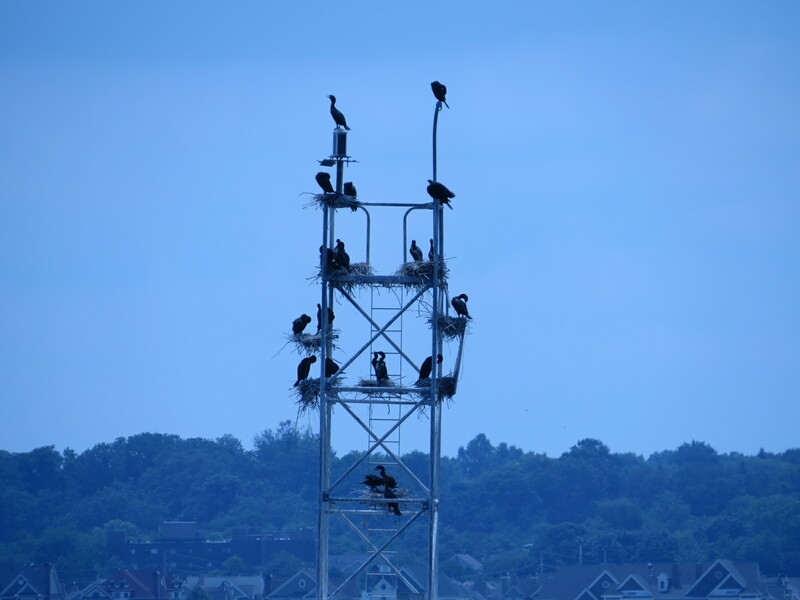 They’ve crowded their nests onto all the available horizontals. 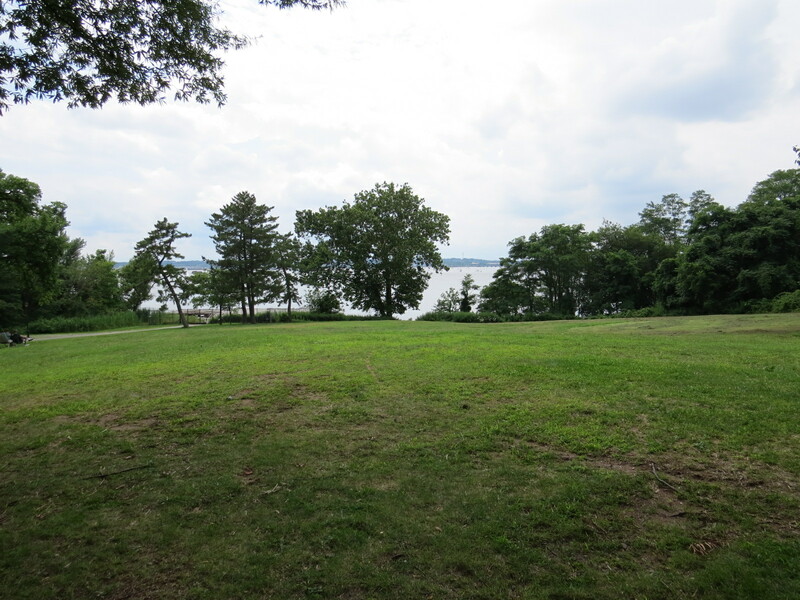 This is the view from the 1680 Billopp House, now known as the Conference House because of the unsuccessful peace parley held here in 1776. We can pretend there isn’t an industrial watercourse right on the other side of those trees and imagine the view not so different 300 years ago. 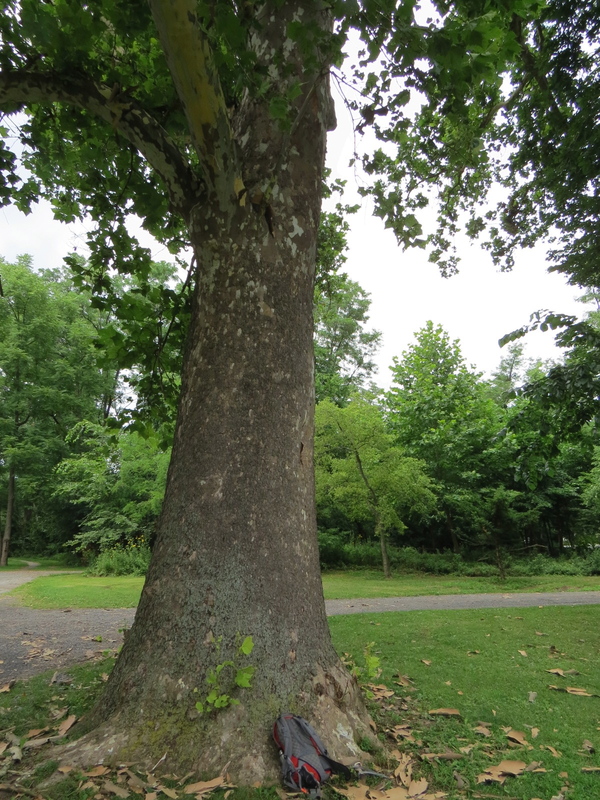 There are some magnificent American Sycamores on the grounds; that’s my 20″ long backpack for scale. I love that “phraggy” is a legit word in this context.